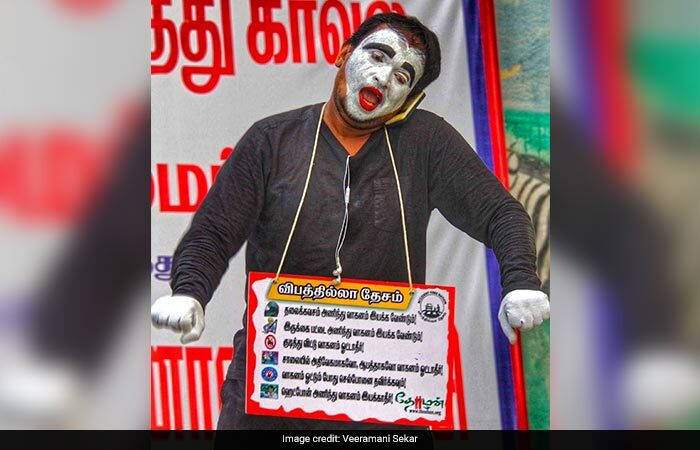 37-year-old Veeramani Sekar from Chennai, who works in a bank as a manager is hearing-impaired since birth. 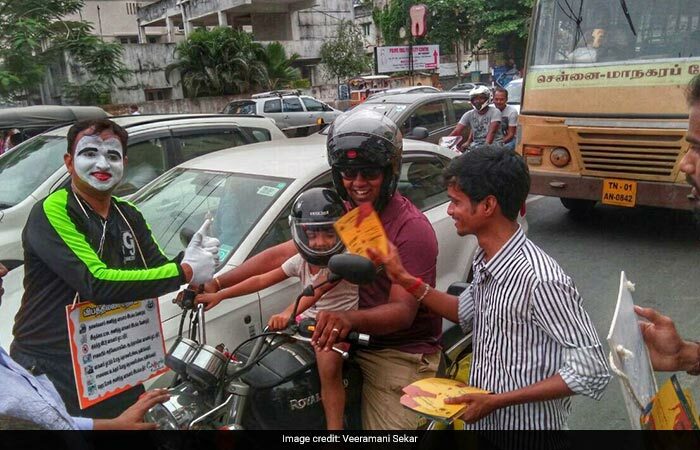 After he met with an accident while travelling with his daughter on his bike, he realised that on roads a split second is all the difference between life and death and the only option is to take precautions, to not just prevent accidents but also curtail fatalities. 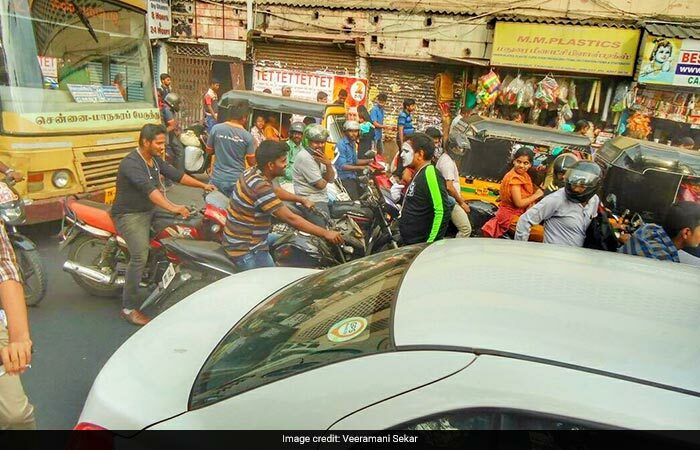 'I was riding my bike very carefully; and all of sudden a vehicle rammed into my bike. 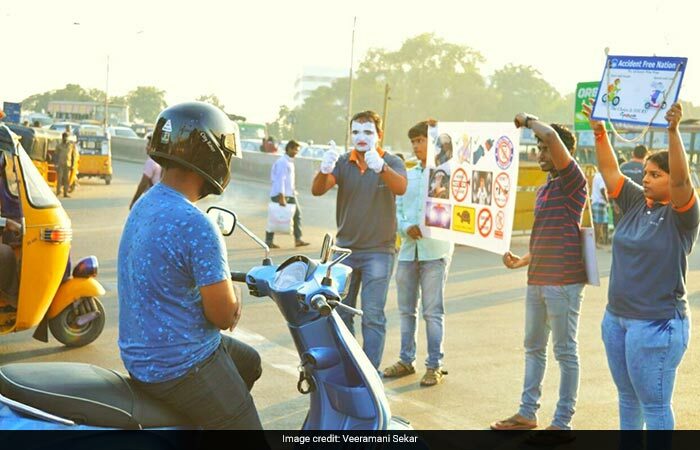 This accident was an eye-opener,' recalled Mr Sekar, who then made spreading awareness about road safety the mission of his life. 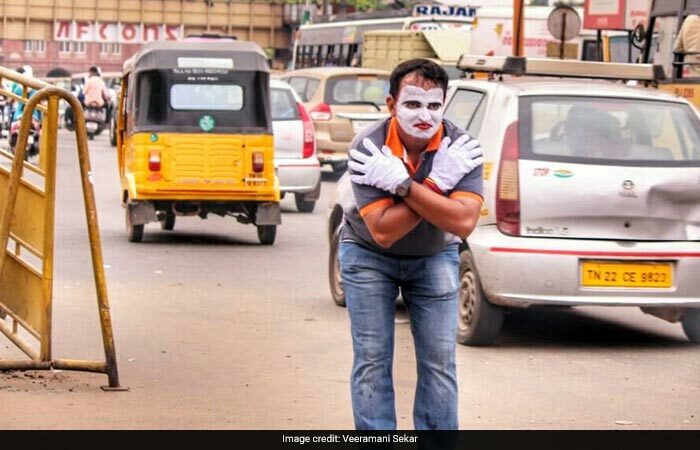 At busy traffic signals across Chennai, Mr Sekar uses the art of mime (performance without speaking by using body movements and facial expressions) to educate motorists to adopt road safety measures. 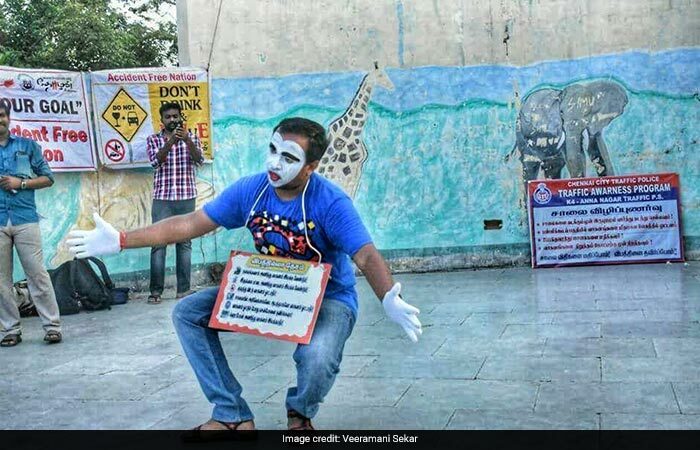 Through mime, he sensitises people on the importance of obeying traffic rules like wearing helmets and seat belts, sticking to speed limits and avoid speeding, driving without distractions (mobile phones or eatables) and acknowledging the rights of pedestrians. 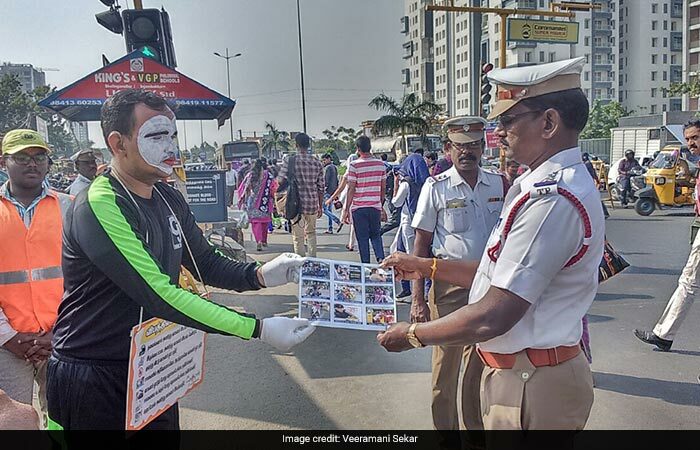 He works with Thozhan, an organisation which is actively working for the past 10 years across Chennai to spread awareness on road safety, under their initiative, ‘Accident Free Nation'. Mr Sekar believes that people easily understand the concept rather than a long speech or literature. 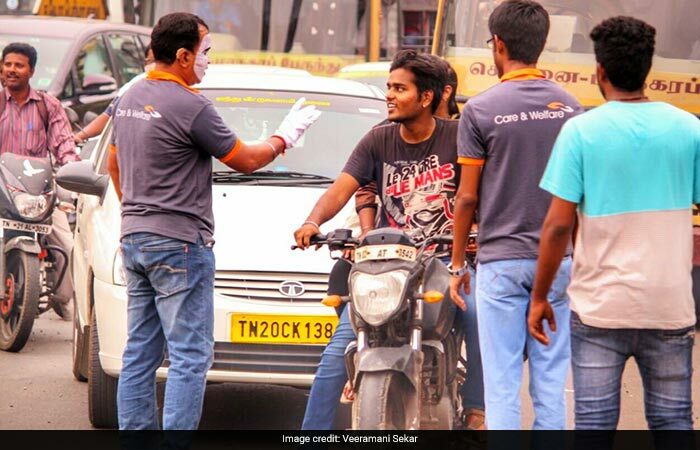 Apart from traffic signals, Mr Sekar also performs at schools, colleges and corporate houses, as part of Thozhan's road safety awareness campaigns. 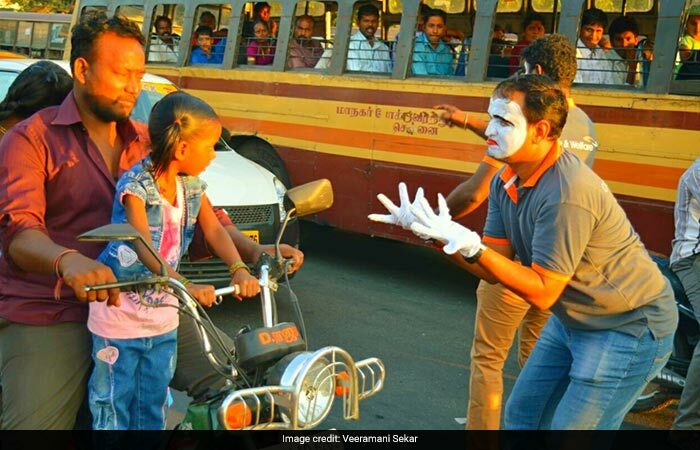 He also works towards training a team of members to use mime language for road safety awareness.